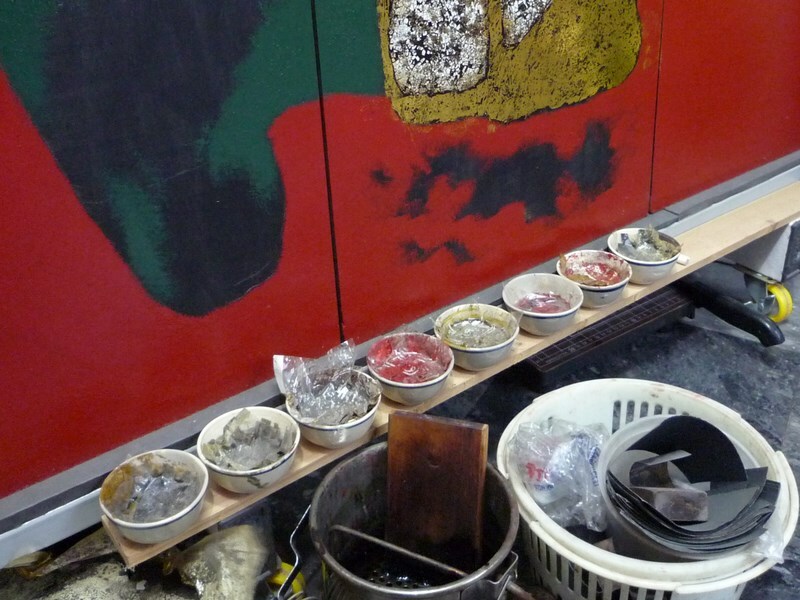 In January 2010, Asiarta Foundation and the Getty Conservation Institute in Los Angeles initiated a collaborative research project with the aim of investigating Vietnamese lacquer. Initial analytical results are expected towards the end of 2011. Vietnamese lacquer is distinct from lacquer used in the decorative arts in countries such as Japan and China, and has evolved significantly from its early stages in the 1920s, when artists who trained at the Ecole des Beaux-Arts de l’Indochine first began experimenting with lacquer as a painting medium. Extensive gaps in knowledge and documentation of this unique painting technique have been identified – this project aims to fill some of those gaps. Material differences between lacquer paintings originating from Northern and Southern Vietnam exist, and it is intended that the differences and similarities may be explored as part of this project. 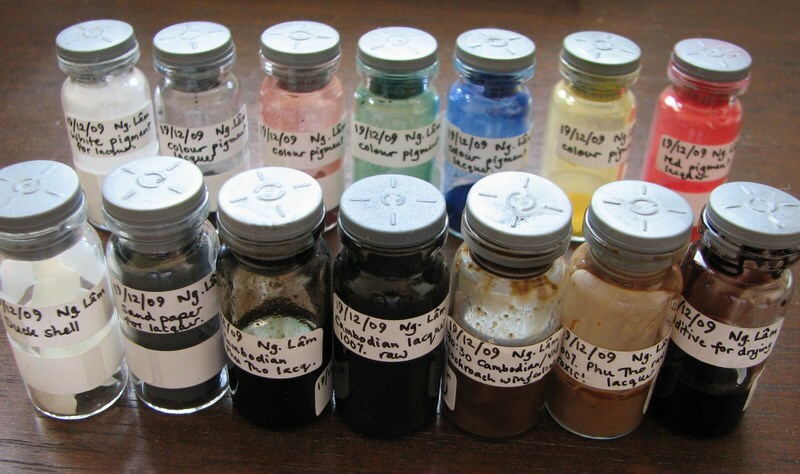 Some initial research objectives include investigation and analysis of degradation processes, materials and techniques relating to Vietnamese lacquer painting. Asian lacquer has been used in the decorative arts and crafts for numerous centuries. The use of lacquer is common throughout Asia, including China, Japan, Vietnam, Cambodia, Burma and Korea, with some regional differences. Lacquer has been used in temple decoration, sculpture, decorative chests, furniture, bowls and utensils, and folding screens, as well as other items commonly associated with the decorative arts. 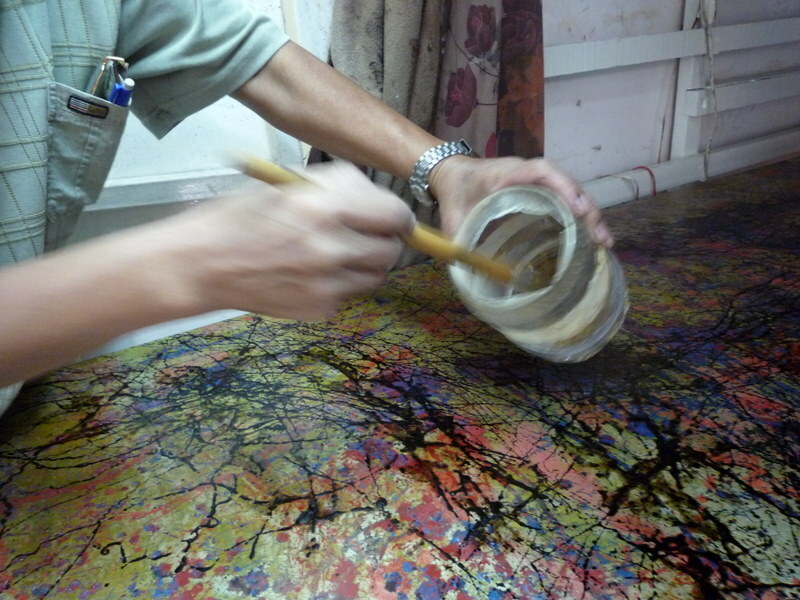 However, the use of lacquer for the creation of fine art paintings is unique to Vietnam. Vietnamese lacquer painting is a unique technique worthy of further investigation due to its importance in Vietnamese art history. The development of lacquer as a painting medium has had an enormous impact on the visual arts in Vietnam and is a notable contribution by Vietnam to world art. It is important that this is recognised, and the techniques and materials are rigorously investigated and documented. In Vietnam, lacquer paintings are perceived as virtually indestructible – as a result, they are often handled rather roughly and the paint surface is frequently touched. In addition, corners and edges of lacquer paintings are easily chipped, exposing the underlying layers. The effect of such damage on the stability of lacquer painting needs to be explored further. Lacquer paintings have been found to be generally in good condition compared to the state of preservation of oil paintings from the same period. It is proposed that the reason for this be investigated. It would also be useful to investigate whether it is possible to determine the differences between lacquer paintings originating from the North and South of Vietnam. Bình Dương province is the centre of the lacquer industry in the South of Vietnam. Lacquer artists working in the South of Vietnam currently obtain their lacquer from suppliers in the North. This may also have been the case prior to 1954 when the country was divided into separates states of North and South Vietnam. However, as a result of the war, North Vietnamese lacquer was unavailable in the South between 1954 and 1975, and lacquer came primarily from Cambodia during that time. Lacquer originating in Cambodia is derived from a different source, and the species of tree is reported to be Melanorrhoea laccifer. This will need to be investigated further. 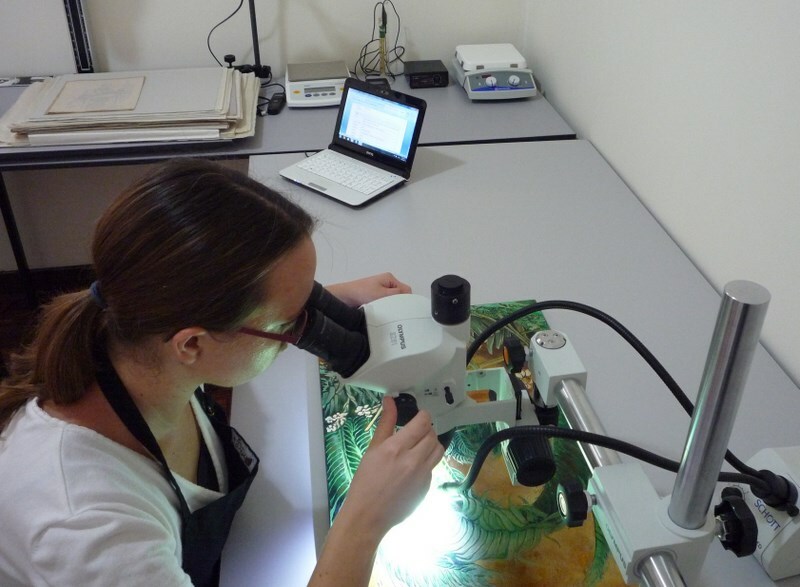 The Getty Conservation Institute is involved in a research project on the characterization of Asian and European lacquers. We hope that this will further our knowledge on the analytical methods that may be used to identify the components present in lacquer.